Last sunday was Mothers Day in Germany and some other countries. This is definitely one of my favourite days of the year. Not everyone celebrates Mothers Day and that is fine. However, I think it's a great opportunity to really think about all your mother has done for me and to say THANK YOU, MOM! I feel like you can never show enough appreciation and our day-to-day life is so busy and full of work and worry that we often forget to tell the people around us that we love and appreciate them. Mothers Day is also a chance ot bake something for your Mama - and that is one opportunity I will never pass on. 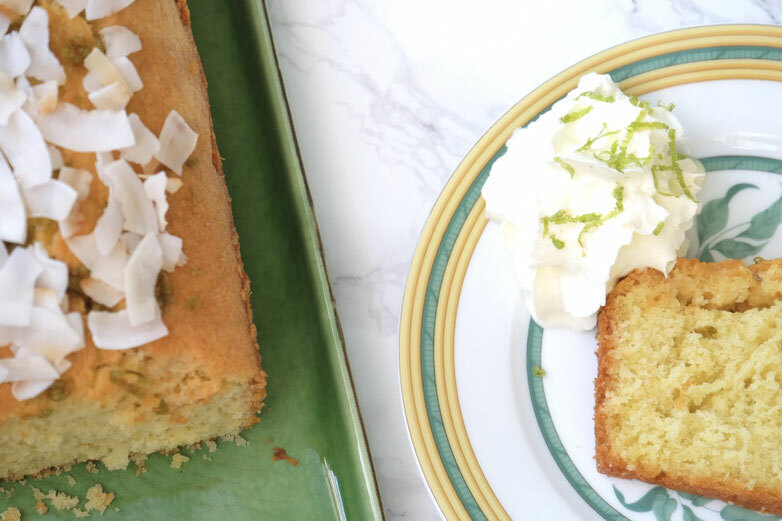 My mom chose this Lime & Coconut Cake from an old magazine and I was more than happy to bake this cake for her. I tweaked a few things and I am glad to report that the cake came out great and my mom loved it! I think, it might be her new favourite cake. She loves everything lemony and lime and coconut is just such a classic, yet exotic combination. 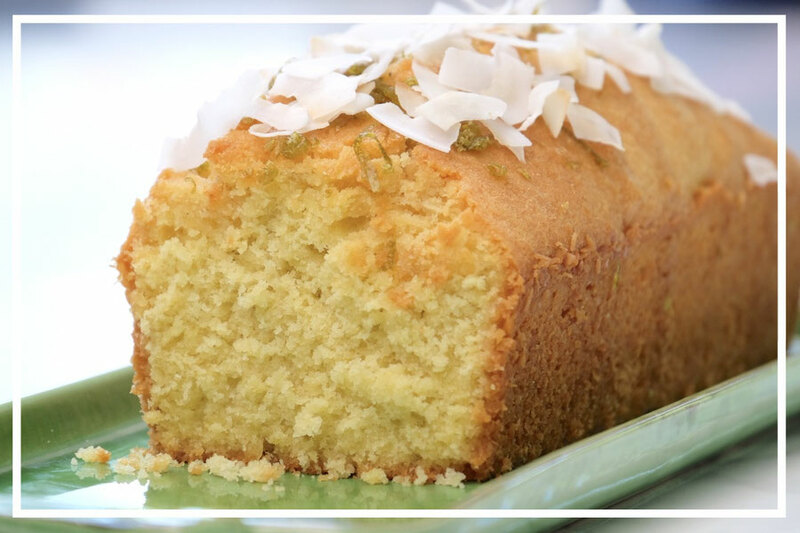 What makes this cake truly special is the lime syrup, which the cake soaks in. 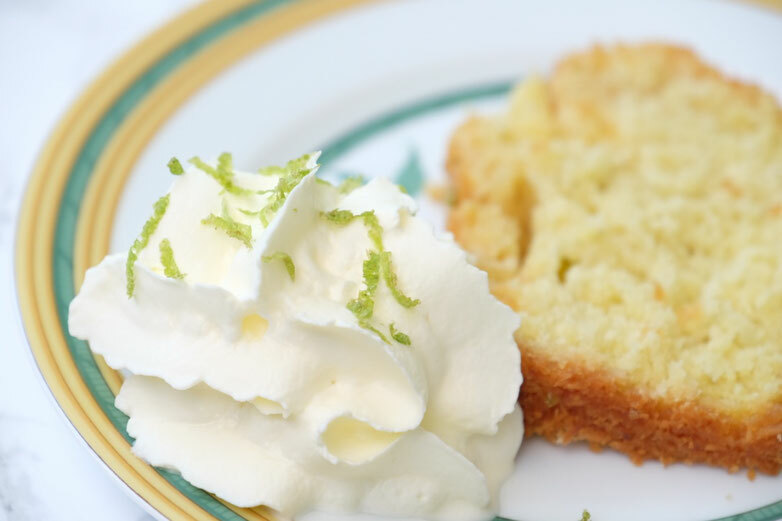 It kind of tastes like lemonade and makes the cake super moist and delicious. Happy baking! Beat the butter with 100 g of the sugar until light and creamy. Add the eggs, one at a time, and the vanilla extract. Beat until well combined. Wash all of the limes and zest two of them. In a secon bowl, mix together the lime zest, the flour, the salt and the baking powder. Add the dry ingredients to the butter-egg-mixture. Next add the coconut milk and the desiccated coconuc and mix until everything is combined. Butter the loaf pan and coat the sides with flour or some more desiccated coconut. Fill the pan with the batter and spread out the batter evenly. Bake the cake for about 60 Minutes. While the cake is in the oven, prepare the syrup. In a saucepan, combine 100 ml of lime juice, the zest of three more limes, 50 g of sugar and 50 ml of water. Whisk everything together and let the mixture boil for about 10 minutes or until lightly thickened and slightly gold in colour. Toast the coconut chips in a pan over low heat. Do not let the chips burn! They are toasted when most of them are turning golden brown and you can smell the coconut. The cake should be golden brown when it's done. Let it cool in the pan for about 10 minutes. Then take the cake out of the pan and let it cool on a wire rack. Drizzle the syrup over the cake. Put a plate under the wire rack to catch any drips from the syrip. Press the coconut chips on the cake and let the cake cool completely.